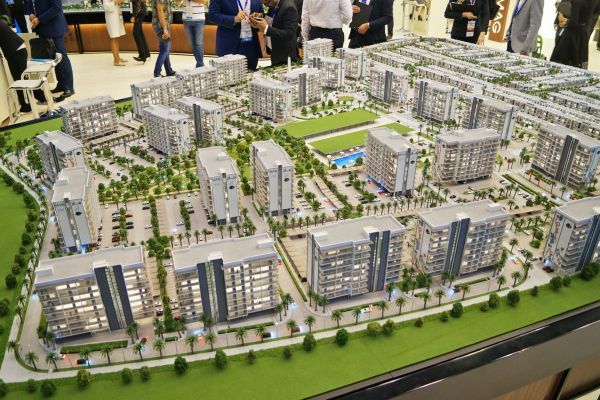 photo caption: UAE Developers all set to showcase their flagship projects at Cityscape Abu Dhabi. MAG Lifestyle Development, the development arm of MAG Group is preparing to launch its AED4.7 billion project MAG EYE at Cityscape Abu Dhabi next month. A fully gated townhouse and villa community situated in Meydan District Seven in Mohammed Bin Rashid City, MAG EYE will be one of five major flagship projects showcased by MAG Lifestyle Development. MAG Creek Wellbeing, MBL Residence, MAG 230 and MAG 318 will share the spotlight, all of which will be available for sale at the exhibition. Talal Moafaq Al Gaddah, CEO of MAG Lifestyle Development said: “We always partner with the best exhibitions to promote our projects so we are looking forward to taking part in Cityscape Abu Dhabi because we are confident it will provide us with a valuable opportunity to reach local, regional and international investors. “Anyone working in the UAE property market can see that the sector has reached maturity and that sustainable growth is now being achieved. The question now is how to remain on this upward trajectory, which is an endeavour that will require developers to go beyond simply constructing buildings. It is now time to do more, to think bigger, and to outdo ourselves by gearing every single aspect of our projects toward truly enhancing peoples’ lives”. Taking place from the 17-19 April at the Abu Dhabi National Exhibition Centre, the 12th edition of Cityscape Abu Dhabi is held under the patronage of His Highness Sheikh Mohamed bin Zayed Al Nahyan, Crown Prince of Abu Dhabi and Deputy Supreme Commander of the UAE Armed Forces. The three-day event will display hundreds of real estate developments from the UAE, GCC and international businesses and acts as the annual property barometer for the UAE capital. Showcasing their recently launched project, Millennium Binghatti Residences, UAE-based Binghatti, will also be offering exclusive deals for real estate brokers on Binghatti Stars and Millennium Binghatti Residences developments throughout the show. Muhammed Binghatti, CEO and Head of Architecture of Binghatti Holding said: “Cityscape Abu Dhabi is a must attend event for any serious and ambitious property developer in the UAE. It is one of the key barometers for the region's property sector as it acts as a platform for developers, investors, real estate professionals and government entities to meet, exchange expertise, and explore business opportunities. 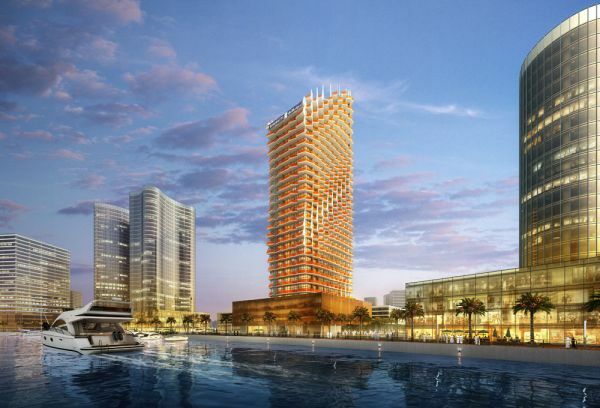 photo caption: MAG Lifestyle Development to launch its AED4.7 billion project, MAG EYE at Cityscape Abu Dhabi next month. ECNO, a newly established consulting firm in the UAE capital, is taking part in Cityscape Abu Dhabi for the first time to launch three fresh projects: a new concept of water entertainment fixture, a geology museum, and a Speed Reduction Zone Improvement, the names and further details of which will all be announced at the event. Faisal Al Hosani, Owner & Founder of ECNO Consulting & Feasibility Studies said: “As a new firm in real estate, our aim is to enhance the investment and tourism sectors in the Emirate of Abu Dhabi through implementing innovative and sustainable solutions. Cityscape Abu Dhabi returns with support from Platinum Sponsor Azizi Developments and Gold Sponsor ARADA. For more information, visit www.cityscapeabudhabi.com or call +9714 336 5161. Abu Dhabi Food Control Authority launches new "Year of Giving"